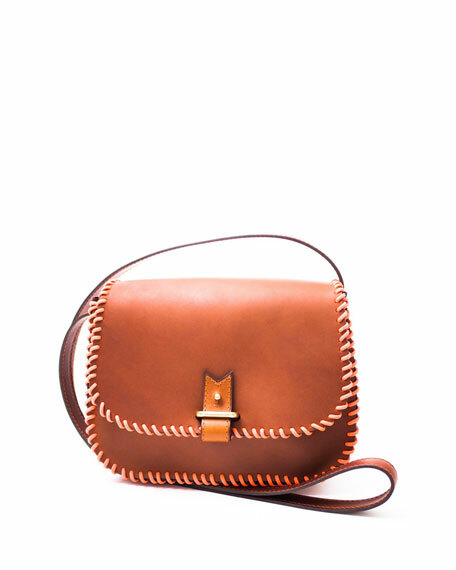 laContrie "Rohan" calf leather satchel with contrast nylon whipstitching. Flap top with push-stud closure. Embossed logo detail under flap. Approx. 7"H x 8.3"W x 3"D.
For in-store inquiries, use sku #1728414.